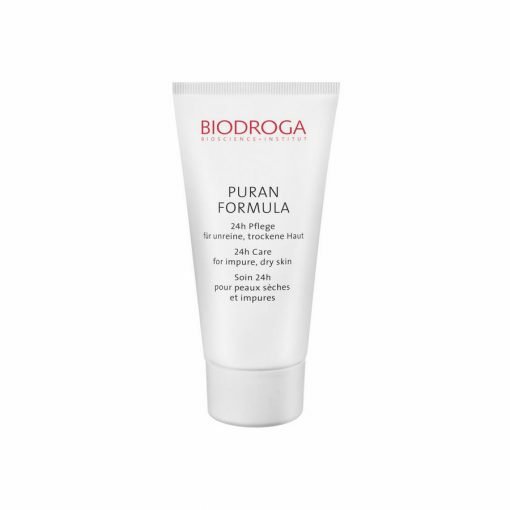 Biodroga Puran 24-Hour Care for Impure, Dry Skin is a rich 24-hour cream for impure, dry skin. It prevents the spreading of harmful bacteria, which are considered to be responsible for the development of skin impurities. It results in impurities and blemishes fading quicker. 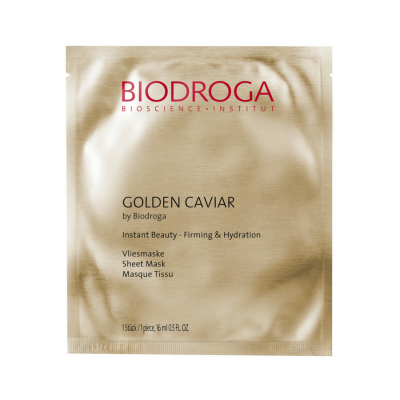 It stabilizes skin’s moisture balance, improves it’s natural protective barrier and provides a balanced, supple skin. No mineral oils, parabens, PEGs, silicones or animal ingredients. Dermatologically tested. Massage in gently morning and/or evening on a cleansed skin. 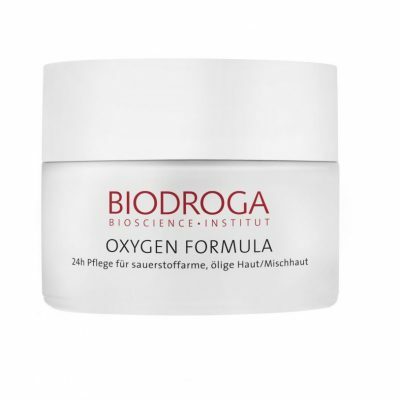 Jojoba Oil, D-Panthenol, BioEcolia® , Beta-Glucan. Jojoba Oil provides for a balanced and supple skin feeling. It contains the BIOACTIVE PURAN COMPLEX with BioEcolia® and Panthenol and acts against the spreading of harmful bacteria, which are considered to be responsible for the development of skin impurities. Impurities and blemishes fade quicker. Beta-Glucanstabilizes skin’s moisture balance and improves its natural protective barrier.